I thought I’d try to do something that i could print out and that someone else could enjoy too, other than just looking at it on the computer. 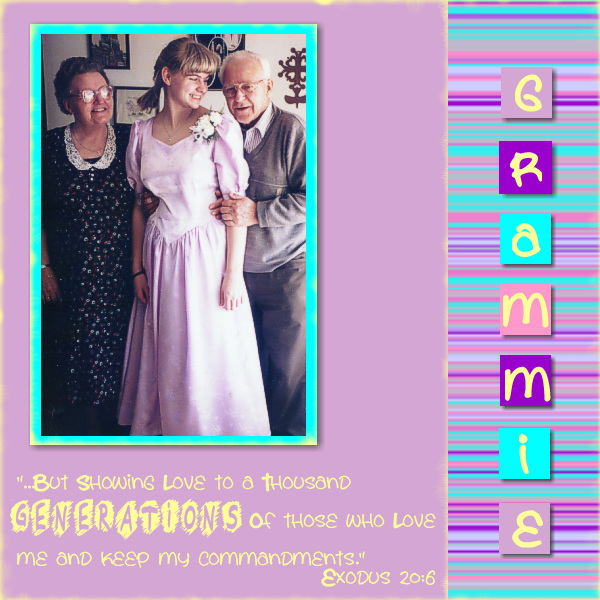 This is my favorite picture of me and Grampie and Grammie. The card is addressed only to Grammie because Grampie died last summer. I was able to be in New Brunswick in the duration of his cancer relapse and death. I am glad for that. I miss Grammie a lot now though. I try to write often and tell her how I am doing.